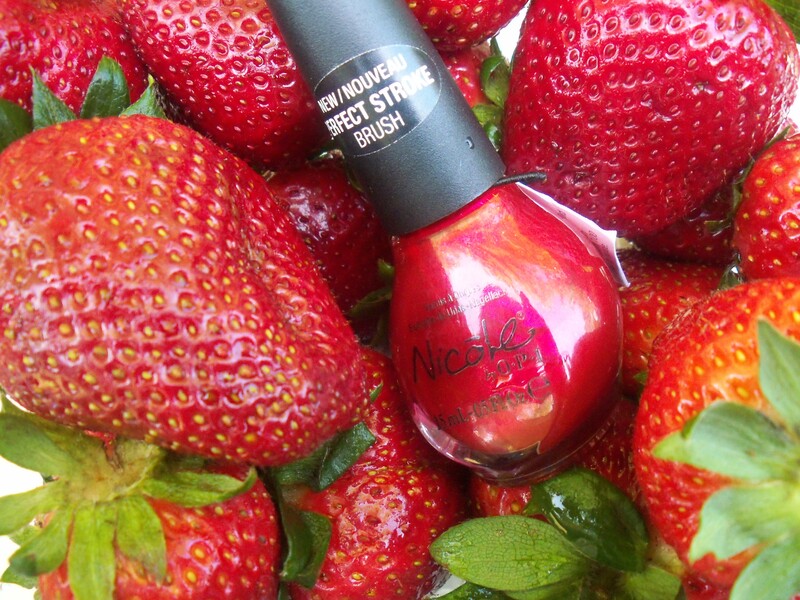 I’m still hunting for that perfect shade of red, and I came close this weekend when I bought Cherry on Top from Nicole by O.P.I. 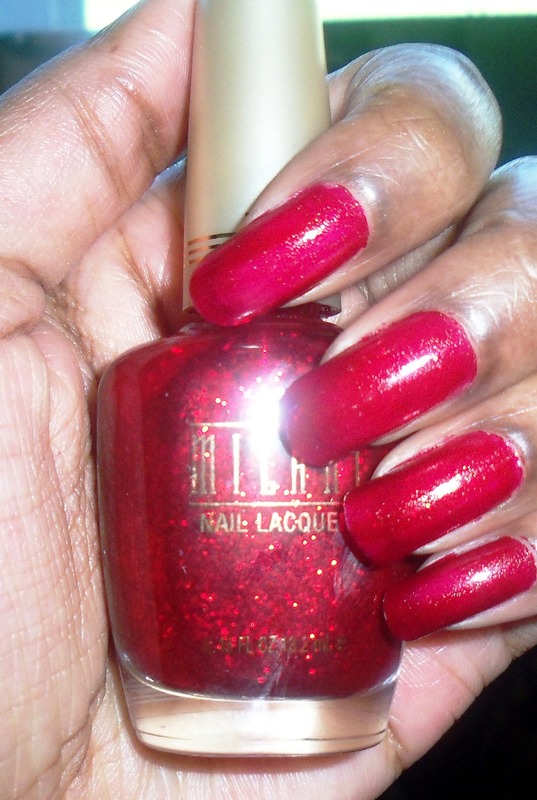 I’m wearing a topcoat in these pictures, so the finish without it is not so glossy. I have a fondness for anything that has a faded, gradation look. From clothes, to earrings, to stationery, I’m all about it. As soon as I saw the look on nails, I knew I had to try it. I found a written tutorial online, but since I’m a visual person when it comes to learning, no matter how hard I tried, I couldn’t grasp it. 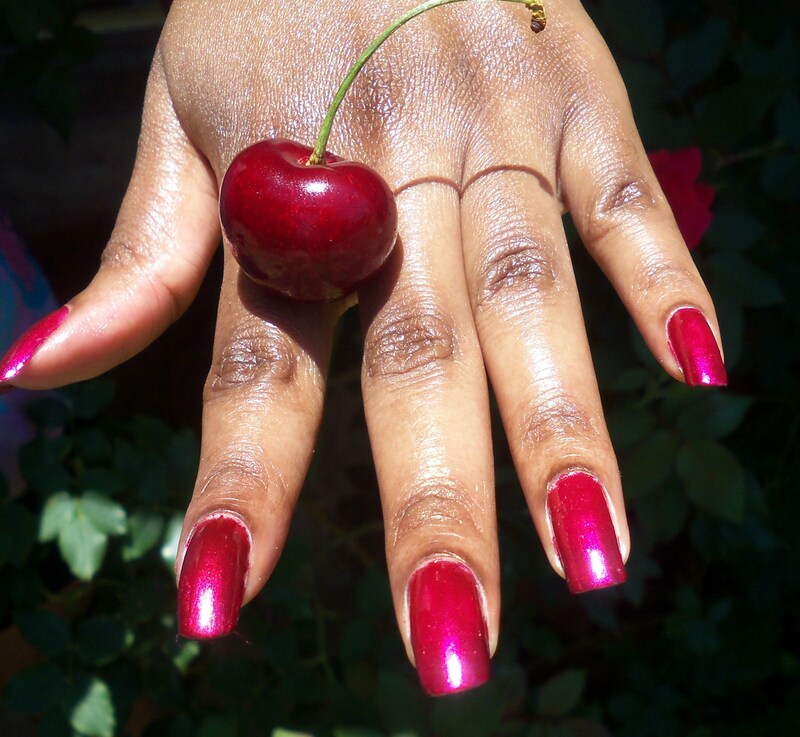 I searched online for more tutorials, but most were of ombre nails where either the pinky or the thumbnail is darker and each following nail gradually fades out into a lighter color. 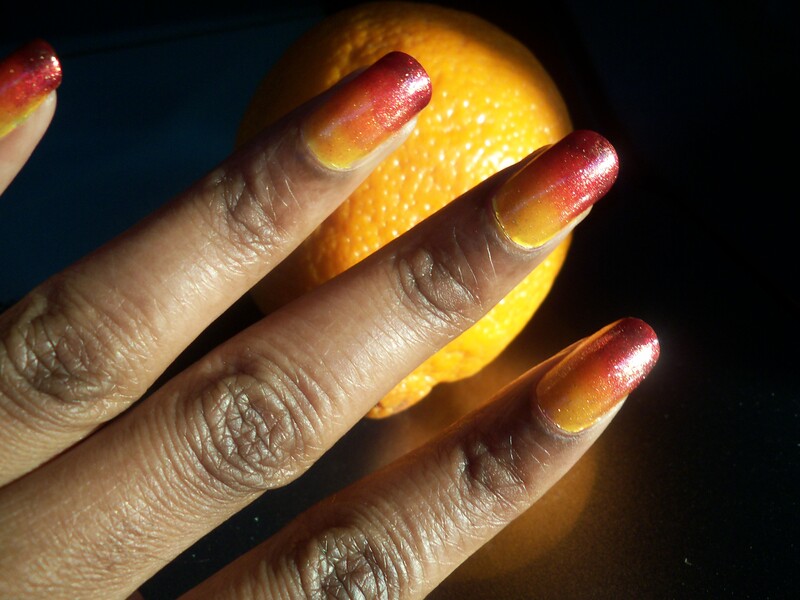 That’s a cool look also, but what I was looking for was a tutorial for an ombre look on each nail. I absolutely, positively, adore shimmer nail polish. If companies are trying to get me to buy their polish, just throw some type of glitter in there, and it’s sold! It’s my nail polish achiles heel. My lacquered kryptonite. I have zero defenses against it. 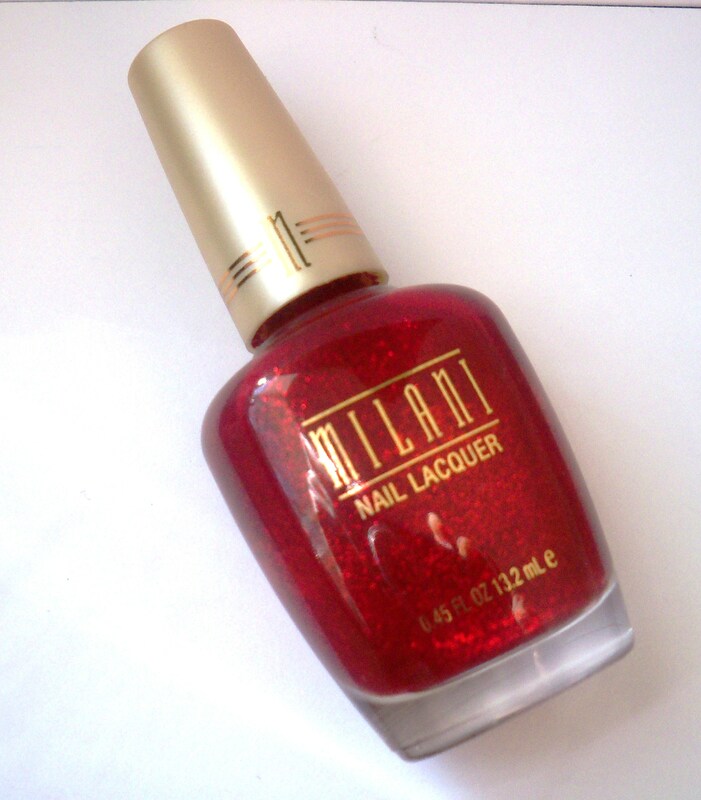 So when a hint of sparkle caught my eye while browsing the Milani makeup line, my attention was instantly drawn towards it. And there it was. 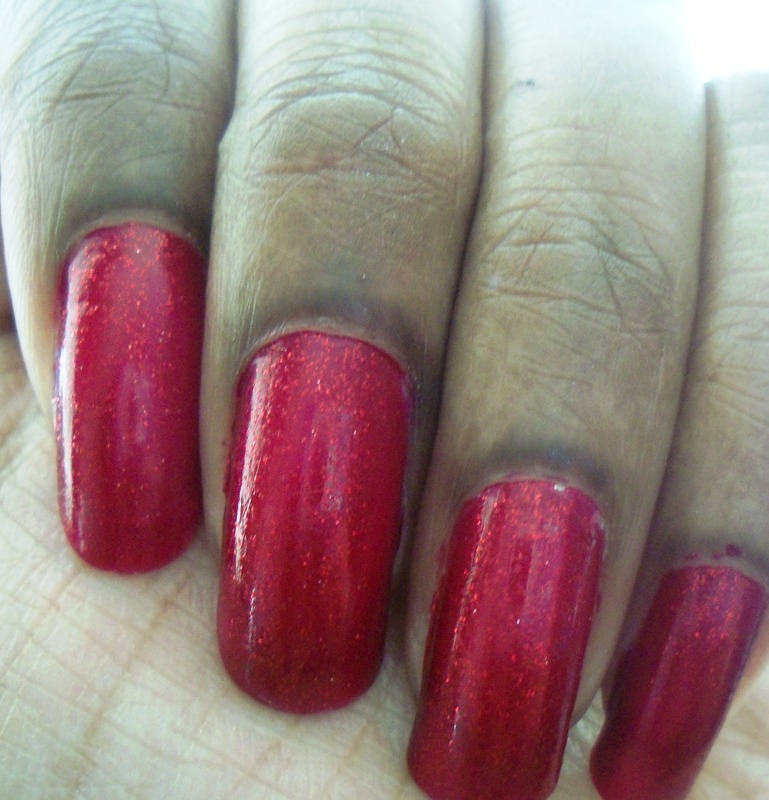 A ruby red nail polish, with tons of glitter. It reminded me of the glitter and glue tubes we used for arts and crafts back in elementary school. I loved those! I was sold. Where do I begin. Let’s start with color. I did admire the color. It looked about 90% of what was shown in the bottle. The glitter isn’t all bam in your face, but it was decent. Yes I know I have polish on my finger...I'm messy! The first thought that popped into my head was that my fingernails looked I had dipped them in blood. Strange I know. 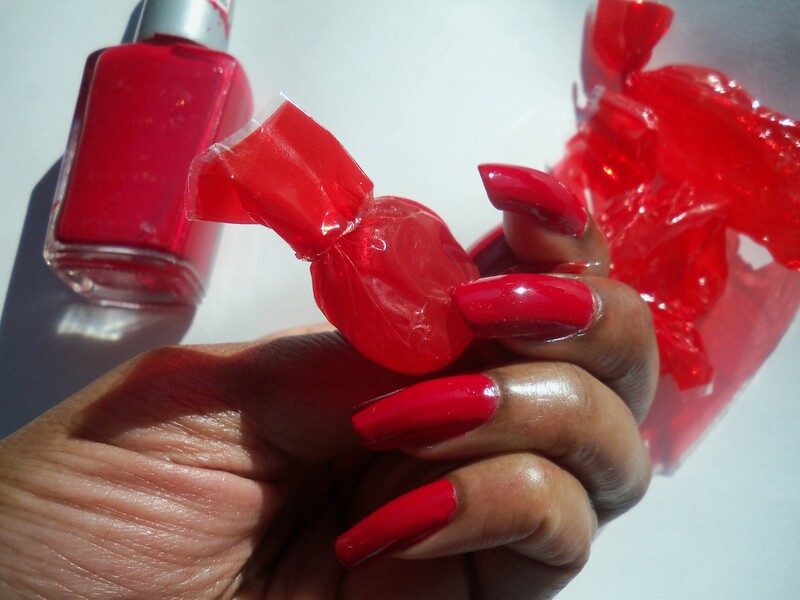 The red was very vibrant.The finish was matte, and rough to the touch (I always run my fingers across my dried nails to feel the finish), so it required a topcoat. That is somewhat annoying because it takes forever to remove, but it’s minor. As I applied the polish, I noticed that it was thin. The good thing about that is that it took about three minutes to completely dry between each coat. The bad thing about it is that I knew it wouldn’t last five days without some signs of wear and tear. Even with being extra careful with what I did with my fingertips (no cleaning that required vigorous scrubbing, or using my fingernails to open things), the polish still began to slowly wear away by the beginning of the third day. All in all, I did like the color a lot. I do wish that it had a longer wear time, but it’s not horrible. I would buy it again if I happen to be shopping and it catches my eye, but I’m not making any special trips to repurchase. I paid about four dollars. On the website, it’s advertised as 4.49.